John Piper calls this a Holy Ambition. Piper is far from alone in getting inspiration from the Apostle’s desire to take the good new about Jesus to places where it has not yet been announced. The website JoshuaProject.net is dedicated to listing all the peoples and languages of the world and the degree to which each has heard the good news. As is evident from perusing the website, intentionally taking the good new to new places requires research. One cannot just strike off in a random direction and hope to encounter a people who has not heard of Jesus. I have colleagues who have spent a good part of their lives going out into the field and finding out where languages are, how many people speak them, if the people in one location can understand the people in another and if the language is dying out or perhaps growing. One of them is Ted Bergman who was an engineer before getting involved in Bible translation. After spending a couple decades training, organizing and leading small teams of researchers across Africa, he set out to find out how many places there in the world where there are no Christians, no missionaries and no Bible in the language of the people — a triple no. The purpose of the research, of course, is so that people will know of those places and take action to remove one or more no. He found 138 such places. There are none in North America, South America or the Pacific. There is only one in Europe. The majority are in Asia but there are also a number in the Middle East and 18 in Africa. Just three countries have over half of the 138 places, but 19 countries have at least one. You can look at the list yourself, just ignore the columns of codes only missiologists understand. I was a missionary for a while before I fully appreciated that missions requires research. Not the kind of research one does in a lab or on a computer, but rather the kind where one goes out among the people, talks to them, and seeks to understand their situation. What language do they speak? Have they ever heard an adequate presentation of the good news? Are there missionaries working among them? How many of them are Christians, if any? What religion do they follow? Is there a Bible in their language? This research is seeking out every niche where the good news of Jesus is still missing. A few months back, I was involved in an inter-agency committee in Ghana where we looked at research, made inquiries and came up with a list of all the remaining Bible translation needs in Ghana. What’s cool about that is the efforts now being made to shrink that list until it has nothing on it. 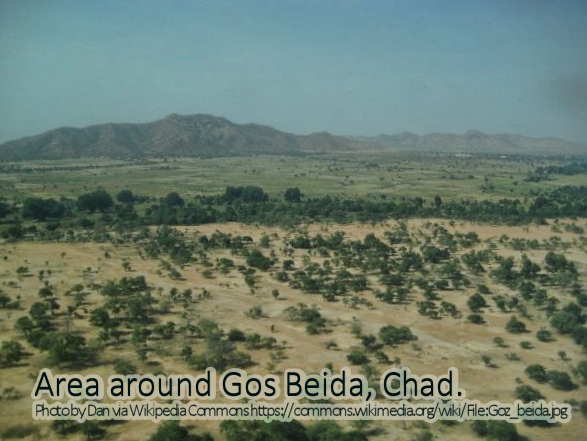 This entry was posted in Bible translation, Chad, Christianity, Faith now and tagged bibleless peoples, missions research, unengaged, unreached. Bookmark the permalink. It is always good to hear from you on how things are going in your ministry. You and Dale are (almost) daily in our prayer even though you don’t hear often from us. We were sorry to learn about Dale’s dad, but he is in a better place. No more pain or sorrow. Valuable Information can be used to motivate prayer and prayer leads to sending, and sending to proclaiming, and proclaiming to salvation! Exactly. Like most or even all translation strategies, MAST works well in specific settings.